"I took 2 levels of Mike's class. I went to auditions and meetings with agents using techniques that Mike told me. As a result I made great connections and booked jobs." "Since taking level 1 and level 2 at the beginning of the year, I signed with a new agent and I booked my first SAG national commercial." "Coach Mike Pointer helped prepare me for success! 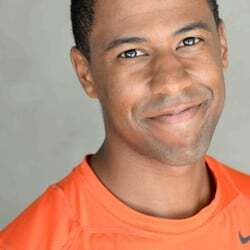 After taking two of his classes, I landed my first agent and ultimately my first big National Commercial for the Honda Civic!" "If you're at all serious about your craft - whether it be in commercials, film, TV or even live performance; you'd better have been through at least Mike's first two classes." "Coach Mike is great! I took both level 1 and 2. These affordable classes offered a lot of great techniques for auditions and helped me get comfortable in front of the camera." "I enjoyed Mike Pointer's commercial acting class so much that I also took the advanced class. I would (and have) recommended it to everyone." This course is designed to take the actor from an excellent fundamental audition approach to the "next level" in commercial auditioning. All exercises are actual advanced commercial audition copy exercises and each week becomes increasingly more challenging to expand the "talent capacity" of each actor, equipping them with even stronger audition techniques and skills making them more competitive in the marketplace. This course is also great for the actor that's been going on auditions and getting callbacks, but not booking. On-camera instruction with cue cards (all advanced, actual audition copy exercises), product handling, male/female exercises. Actors will experience real audition scenario exercises from the waiting room to the audition room. ✔ Part 2 of Free DVD, Online University On-Camera and Business Mastery Resource Tools. ✔ CLIENT RESOURCES PASSCODE ACCESS/ 1-Sheet Resources include: Headshot Submission System, How To Develop And Keep Great Relationships With Your Commercial Agent, How To Develop And Keep Great Relationships With Casting Directors, Original Agent Meeting Guidelines, Agent/Manager Termination Letter, Reverse Check Authorization Letter, Personality Slate Improv Questions, Casting Director Birthdays, Agents To Avoid List-And More! How To Determine your Type Lesson 1 Sheets & DVD. This is an awesome service we offer our clients. As soon as we receive your deposit, the course starts! This means you don't have to wait until the actual start date of the course before we start helping you! The reason we do this is because not long ago our client Melissa Smith (NTA Agency) moved to Hollywood and got an agent. Her agent recommended that she take a commercial workshop. She called us and scheduled to take the next course in two weeks. But before the course started, she got her first audition for Del Taco. Since she had never auditioned for a commercial before she was uncertain on what to expect or do at the audition. She called us and explained her situation, she said she knew she might be over stepping her boundaries by calling us for help before the course had started, but asked if we would please spend some time with her on the phone to coach her, and gladly, we did! We got her so excited and empowered for the audition that she got the callback and BOOKED THE JOB! We've been sold on this program ever since! Our philosophy is when you win, we all win! So if you need us before the course starts, call us right away. We are here to serve you! Payment plans are available, if needed! Simply make a $51 deposit to HOLD your seat. Click here to learn more.